Before purchasing a horse, it’s important to first be clear on what exactly you want. This includes the breed of the horse, its age, color, and its purpose among many other dynamics. The purpose of the horse, in this case, can be a rider horse, a carriage horse or a pet horse among others. Knowing what you want in a horse beforehand will help you greatly when it finally comes to choosing the horse. It is advisable to seek the opinion of an expert before going ahead to buy a horse. An equine expert will be able to advise you on the kind of horse that suits your intended purpose and what to look for in it. They will also tell you other important things such as the horse’s climate, feeding, and health care needs among others. It is important to take an expert along with you when you’re finally buying the horse. They will be able to advise you on whether to choose a particular horse or not. Before paying your money for a specific horse, it is important that you first try it and ensure that it is right. Visit the farm or stable a day or two before buying the horse and ask the owners to allow you try it out. As you test the horse, look out for things such as its movement, gait, and temperament alongside others. These will help you decide on the horse’s suitability. The horse’s temperament will, for example, let you know whether it’s an ideal animal to bring home or one that isn’t friendly. Once you decided on a particular horse, you should have a qualified vet examine it. The veterinary examination will help tell whether the equine is healthy and physically fit or whether it isn’t. Having a prior vet exam will help you avoid the mistake of spending money on an animal that is unhealthy and unfit for its purpose. It is necessary that you check the horse’s history before you settle on it. The equine’s history will tell you about its medical condition, its fitness and wellness, and its origin, and legitimacy. You can, for example, be able to tell whether the horse received important vaccines or not by going through its past medical records. You can likewise be able to tell its fitness by going through a record of its past activities. Verify the horse’s identity before buying it. Look at the details on its passport and compare them with those on its body to ensure that they match. You should ideally get a vet to examine the equine’s microchip and confirm if it matches its passport number or not. You can also further check with a passport issuing officer (PIO). 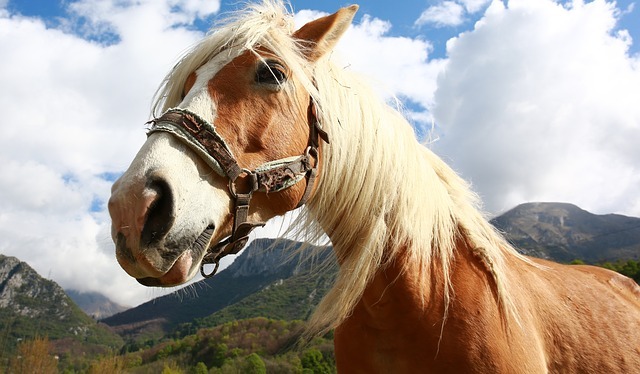 Ascertaining a horse’s identity beforehand will ensure that you buy a legitimate one. Before purchasing a horse from a specific seller, it’s important to be sure that they are credible and reputable. You can ask around or even check equestrian forums on the internet to know what other people say about them. You can then go ahead and buy from them if you feel convinced about their credibility. By taking the aforementioned 7 steps alongside others, you will be able to buy a suitable horse. We hope you enjoyed these tips. Be sure to contact us, and also visit Mark at http://www.dallashomeinspectionco.com/.